Animal Distance Healing is where I hold space for your furbaby and send him/her distance healing using my crystal colleagues. Animals are one of my biggest passions in life and Ragnar (photographed above) is who inspired me to offer my gift. You choose a date and time for healing to be sent to your furbaby. I would prefer it if you could spend sacred time with your furbaby while I hold space and send healing to your pet, but this cannot always be achieved. If you find that you can’t be around, that is fine as well. I shall let you know when I begin and once I have finished the session, I shall send you a photo of the crystals I used as well as any possible insights that I might receive. A clear photo that shows his/her face. This is healing focused on your pet for his/her wellbeing and happiness. If you have a certain issue that you’d like addressed, I can focus the healing around that. I rely entirely on my intuition to choose the crystals for healing. It is R300 / $30 for an animal healing session. Payment can be made via EFT or PayPal (for international clients). You will also receive a report after the session detailing any insights received as well as the crystals used during the session. 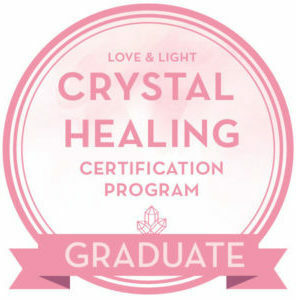 Crystal healing is a gentle, non-invasive energy healing modality that promotes mind, body and spiritual wellness for humans as well as the animal kingdom and Earth. It cannot be substituted for a trip to the vet or medicines but can be use to complement other forms of therapy. If you’d like to book a session, click the button below and let’s chat about your beloved furbaby.